Did you air conditioning break? Do you want to minimize your impact on the environment? 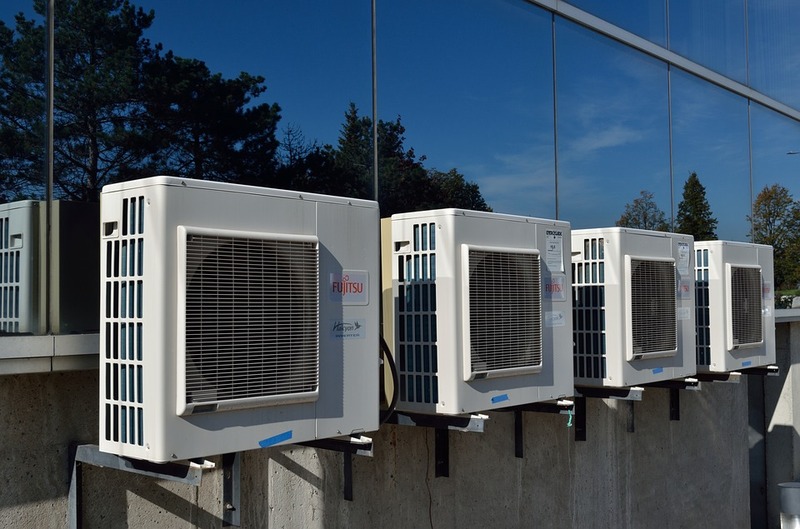 Read here to learn how to cool off your home in the Summer with no air conditioning. Summer temperatures are underway in much of the United States. For most of us, that means it’s time to break out the air conditioner. In fact, fully two-thirds of American households use an air conditioner. That statistic makes one wonder about the other one-third, though. What do they do in the summer? What tricks or hacks do they use to keep both themselves and their houses cool? Of course, our grandparents went without air conditioning, and chances are, with the right information, you can get by too. This is true if you have a broken AC during a heat wave or if you want to minimize its use for environmental reasons. 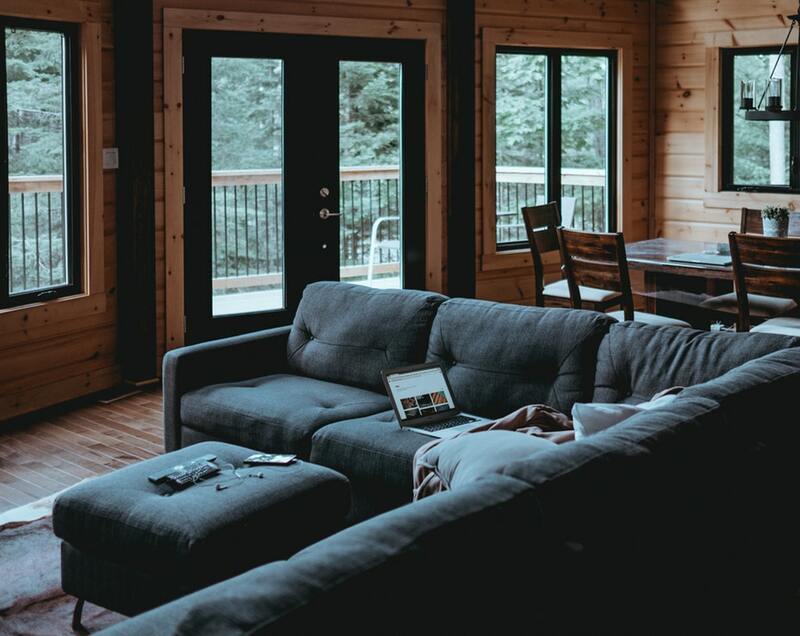 In this article, we’ll show you three things you can do to cool off your home in the summer with no air conditioning. Read on for the complete guide! Covering your windows keeps your home cool. This is one of the most important things you can do. That’s because as sunlight passes through glass windows, it hits solid objects. These include things like you or me, as well as your dining room table. When that happens, much of the sunlight changes into heat. That’s great in winter, but it makes your home a little greenhouse during the summer. Then you have a hot room on your hands. Just about any window covering blocks out sunlight. Mini-blinds, shades, drapes, or curtains all work well. Consider also using blackout curtains for a greater cooling effect. Remember, though, you don’t need to block out all the windows all the time. During the day, keep the southern- and western-facing windows shaded. Then watch and cover any windows where you see sunlight streaming in. Besides darkening your windows, close or open them depending on air temperature and time of day. Opening your windows at night captures cool air produced by falling temperatures. Daytime is somewhat more complicated, but not difficult. As the sun rises, keep eastern-facing windows closed. Presumably, they are also covered to keep the light out. Then open them again as the sun sets. Now you can close your western-facing windows until night falls. Of course, if the air outside is hotter than what you have in your cool apartment, leave the windows shut. You don’t want to ruin a good thing, after all! If you have the option to do so, close the top of warmer-side windows. At the same time, close the bottom of cooler-side windows. This creates an airflow and lowers temperatures considerably. There are lots of different options when it comes to fans. Of course, you can place them next to open windows. This helps to bring cool air inside more effectively. You might want to place a bowl of ice water in front of the fan, too. Then frosty air will blow around the room, cooling off everything and everyone. Before bed, take a cool bath. Then sleep in front of a fan or under a ceiling fan. You will sleep better, even during the hottest nights. In fact, ceiling fans can be used even with an LG air conditioner. They let you raise your AC thermostat about four degrees without feeling any change in temperature. This is a great way to save money without feeling too hot. Make sure also to run bathroom fans after showering or exhaust fans in the kitchen while cooking. They remove hot and wet air from your home. The ideas listed above should help keep you cool with no air conditioning–even during the hottest parts of summer. Take the time to relax and enjoy some ice cold drinks. You may create some memories while saving money! If you enjoyed reading this article, we have information on many other topics! Everything from home improvement to health and fitness to travel ideas. Why not check some of them out today? Do you want your swimming pool to be the envy of the neighborhood? 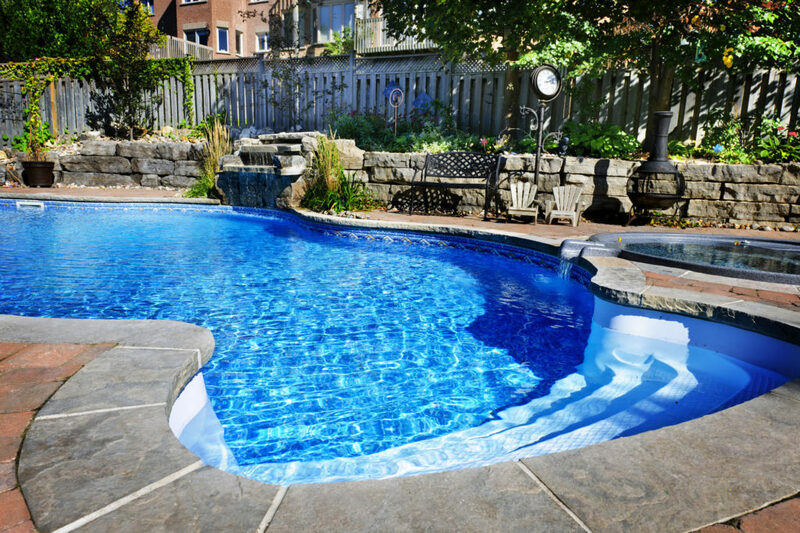 Here are 5 pool care tips you need to know to keep your swimming pool in pristine condition. Pool season is around the corner. Want to get your pool clean, pristine, and ready for summer use? Not sure the best proper pool care techniques to achieve that? We’re here to help. Not sure what proper pool care is, or what swimming pool tips you should follow? In this article, we’re covering the 5 pool care tips that will keep your pool cool and swimmable all season. Let’s get started. To test your pool water, simply buy a testing kit from your local pool supplies shop, and fill one with some of your pool water. By comparing your sample water with the colors shown on the testing kit, you can determine your pool’s current chemical levels, and adjust as need be to balance out the chemical levels. Did you know that when people swim they leave certain oils behind in the water, such as suntan lotion and hair products? Thankfully, there’s an easy solution to this common problem! Just throw a tennis ball into your pool. Tennis balls are an easy DIY way of cleaning your pool. The fibers in the tennis ball will absorb the lingering oils and prevent them from leaving an oily sheen on top of the pool water. Whether you’re a new pool owner or a seasoned pro, you should schedule a yearly service appointment to make sure your pool it’s in tip-top shape. This person can inspect mechanical equipment like your pool’s heating system, pumps, and filters to make sure they’re working properly. If you don’t schedule this kind of appointment, you can end up spending a lot of money down the road on costly repairs. One of the primary pool care tips is skimming and scrubbing the pool as often as you can. In fact, you should be doing this daily! Scrub the sides of the pool to prevent any algae buildup, and if possible, invest in a robot Vacuum that clean the bottom of your pool for you. If you want to enjoy your pool all summer, you need to make sure you’ve properly secured it during the off-season. The last thing you want is to take off your pool cover and find that your pristine pool has become a breeding ground for nasty bacteria. Before you seal it up for the cold season, check the chemical levels, clean out the plumbing lines, and invest in a high-quality cover to keep your pool clear of debris. Swimming pool care is essential to keeping your pool clean, pristine, and ready for any time use. By following the 5 tips in this article, you can clean your pool in the easiest and most efficient way possible, and make your pool the envy of the neighborhood. Have you tried any of these swimming pool tips? Know of any we missed? Let us know in the comments! Adding some new life to your kitchen doesn’t have to be hard or terribly expensive when you check out this list of ideas for easy DIY kitchen updates! Giving your kitchen a much-needed facelift is one of the ways that can help you fall in love with your home all over again. 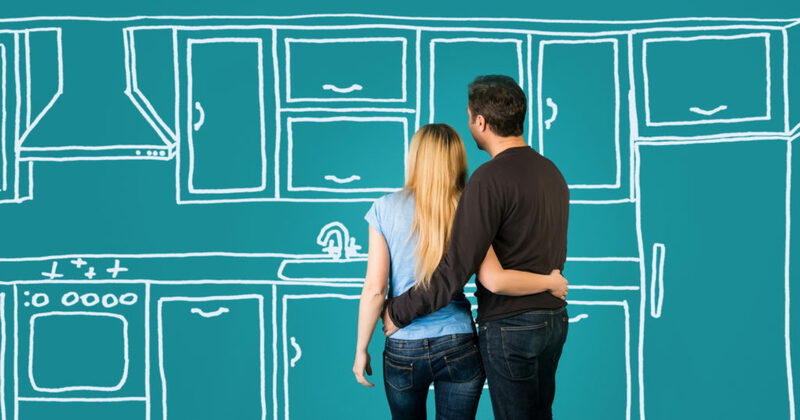 Unfortunately, the average kitchen remodel is going to set you back a cool $22,000; that is if you choose not to go with DIY kitchen updates. You can save a lot of money if you forego the expensive renovations and just focus on easy kitchen upgrades that you can do little by little over time. We’ve gathered 15 affordable DIY kitchen renovations that’ll give your kitchen a new breath of life – and it won’t break the bank, either! Painting is a quick and easy way to take a boring kitchen and turn it into a creative environment that’ll make you (and other family members) want to be in the kitchen! Green and yellow are great color choices for a kitchen, but if you have a lively personality, don’t be afraid to go bold! Did you know that your cabinet hardware can date your kitchen? They get dirty, they don’t hold a polish anymore, and maybe they just don’t look nice. Before you pick out new hardware, you’ll want to decide what style of kitchen you have. If your kitchen has contemporary finishes like concrete Minerva Worktops, you should avoid antique finishes. Along with painting your walls, you can paint the cabinets. It will take a bit of time and effort to do this (especially if you have a lot of cabinets! ), but the payoff is going to be well worth the effort! Backsplashes come in a wide variety of colors, styles, designs, and even materials. You can find affordable but stylish options at your local home improvement store, or try searching online. Task lighting under the cabinets can be a practical DIY kitchen upgrade because it’ll give you a better workspace, but it can also create an evening mood-setting if you opt for dimmable LED lighting. If you have an island, you can get a wood countertop for a reasonable price. The wood is a lovely way to add warmth and richness to your kitchen area without having to do all of the countertops, which can get pretty pricey. 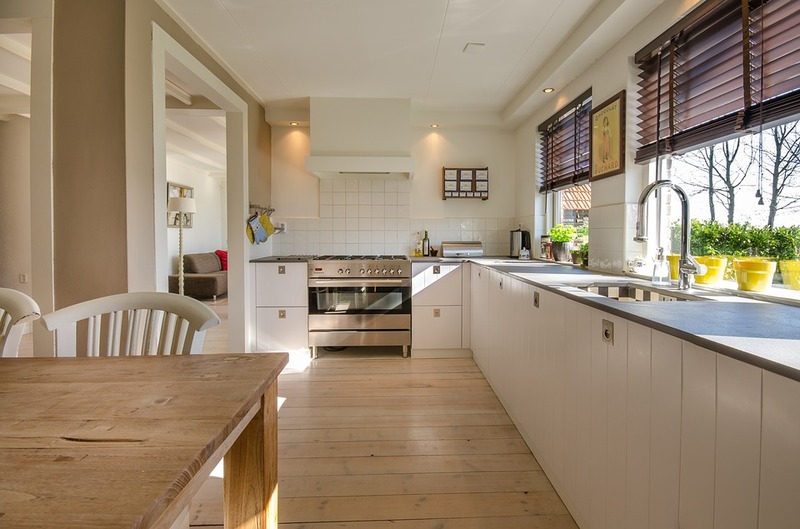 Your kitchen sees a lot of traffic, so chances are the flooring you currently have is looking a little worn-down. You can find affordable flooring options that are easy to install and look absolutely beautiful! In many homes, the kitchen is one of those rooms that could do with more storage options! Since you are already doing a variety of cheap kitchen updates, why not incorporate more storage solutions into the mix? You can do this by adding more shelving to bare walls, or use hooks and racks to store all of your odds and ends. It’ll give your kitchen charm, but more importantly, it’ll give you more space! If you’re interested in adding more storage space but you aren’t keen on having all of your measuring tools out in the open, why not use a bit of chalkboard paint and contact hooks to spruce up inside one of your cabinets? To do this, just paint the inside of your cabinet door. Then when the paint dries, you can create a measuring chart for easy measuring, but you can also hang your measuring spoons and cups on individual hooks. Check this step-by-step guide on how to do this project. Light switch and electrical outlet plates are one of those things that people don’t really think about when doing a renovation because they aren’t an in-your-face improvement. However, when you do swap out a dingy switch plate with a fun one, you’ll be surprised by how much of a difference it makes! You can find plates in a variety of styles and materials, so you may have a hard time choosing just one! Of course, you can always replace all the plates in your home if you can’t decide. All you need is a bit of molding and stain to change the look of your cabinets. You can even add some trim to the drawers and doors of your cabinets, too. It may not seem like a lot, but by upgrading your faucet can change the look of your kitchen in a subtle way. You can either do a complete upgrade and purchase a new unit, or you could just use a bit of elbow grease to prep the faucet’s surface so it’s ready for primer, and then spray paint the entire unit. Note: You’ll need to use a rust-proof paint because it will come in contact with water. Who said that you had to have cabinet doors? If you have a cabinet that sits on a peninsula, you can remove the doors on either side of said cabinets to create an open shelving concept. This will allow more light into the home while giving you an open and airy feeling without having to do any real demolition! Stainless steel appliances aren’t an affordable DIY kitchen upgrade, but you can achieve the same look by using stainless steel contact paper. You can put the contact paper on your dishwasher, microwave, and refrigerator and the best part? A roll only costs $5! If you have open cabinets, contact paper is available in many different patterns and design, and it’s one of the simplest ways to add some character to the kitchen. Maybe you aren’t having any luck finding the perfect paper but you really like the idea of colorful cabinets. You can always paint the inside of the cabinets some fun color if that would be a better option. Updating your kitchen may seem like a big undertaking, but don’t let it discourage you! You can always do simple weekend projects that’ll make a big impact without making a big impact on your bank account! Check out our blog for more DIY tips, tricks, and ideas! Your bathroom is most probably one of the most relaxing places you can think of. 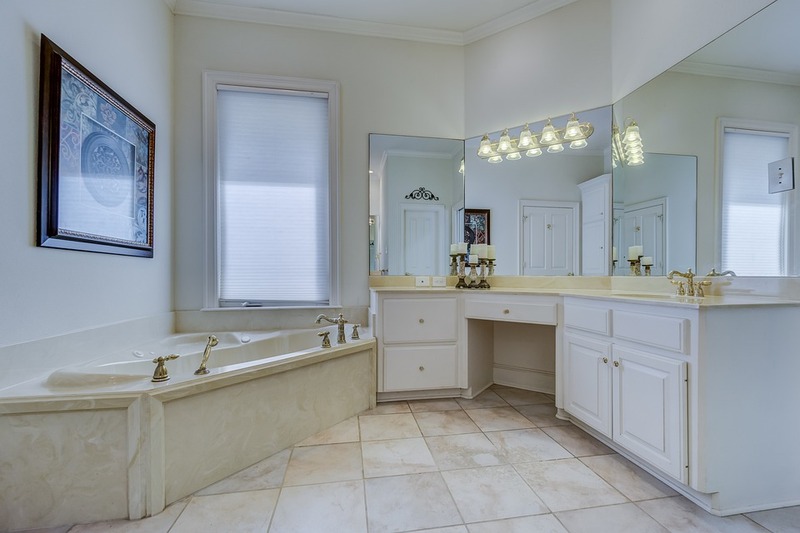 Many hours can be spent in here, lingering under a hot shower or lounging in a bubble-filled bath. It is hard to imagine that anything bad could happen in such a perfect setting! However, as with most things, there can be a dark side to this story. While you may be aware of obvious bathrooms hazards, such as slipping, there are other dangers that you may need to be on the lookout for. One danger that regularly crops up in a bathroom is mould. A certain type of mould called Stachybotrys can develop indoors even when moisture isn’t present. This can lead to breathing conditions such as the development of asthma. However, mould like this can be prevented by ventilating and waterproofing your bathroom. If you’re wondering how to prevent mould for good then look no further than easy-to-clean shower wall panels and ceiling panels. Most people are probably aware that the toilet is not the most hygienic of bathroom features, but you might not be aware, to what extent. When toilets are left uncleaned and are not disinfected regularly, they can be left prone to mass bacteria growth. Coli is one of the main bacteria types that can arise from faecal bacteria and can cause extremely painful illnesses such as diarrhoea and vomiting. However, it doesn’t end there. Other diseases such as Influenza and Streptococcus can be found in badly-maintained toilets. If you didn’t have the motivation to keep your toilet clean before, you certainly will now. As well as this, it is important to clean other bathroom features, as toilet germs can be sprayed around the bathroom when you flush. Incorporating a waterproof wetwall into your bathroom will make the cleaning process an incredible amount easier. No scrubbing is required because there is no need for grout during installation – so you can say goodbye to hours of scouring away pink grime from between tiles. While they may do a great job of keeping your skin soft and wrinkle-free, moisturisers may be more trouble than they’re worth. Certain moisturisers have been linked to skin cancers, specifically non-melanoma skin cancers. It may not be time to throw them out just yet though, as this remains to be proved in humans, as results have only been obtained by tests conducted on animals. You probably didn’t expect to see shampoo featuring in this article but yes, it’s on the list of bathroom hazards, as some types of it include chemicals called aldehydes – which disrupt the way bodies repair DNA faults – in their ingredients. These chemicals have been linked with causing cancer, but can also cause various skin conditions too. These irritants will be evident due to red, blistered, itchy skin and scalp. When you use these handy household items to remove earwax, you may think that you’re keeping your body in tip-top condition. However, you may not know that you can accidently push the wax in deeper, which in some situations can damage the ear canal. This can potentially lead to dizziness, or in extreme circumstances, loss of hearing. Now that you are aware of some of the most unexpected harmful bathroom threats, it will give you the chance to avoid them. Avoiding these hidden dangers or substituting them for safe alternatives should help to keep you and your family healthy and ensure that your bathroom is strictly for pampering and relaxing. When it comes to building a new home or redecorating an existing one, there are lots of important aspects to consider. One of these is lighting. Each room should have the appropriate type of lighting as this will affect the appearance of the colour of the paint on the wall. Here are some things that you should keep in mind when you are picking interior lighting for your home. The first thing that you should consider are all the tasks that you carry out in that room such as reading, studying, or painting. These are all tasks which require good lighting as you need to be able to see properly, without tiring your eyes. 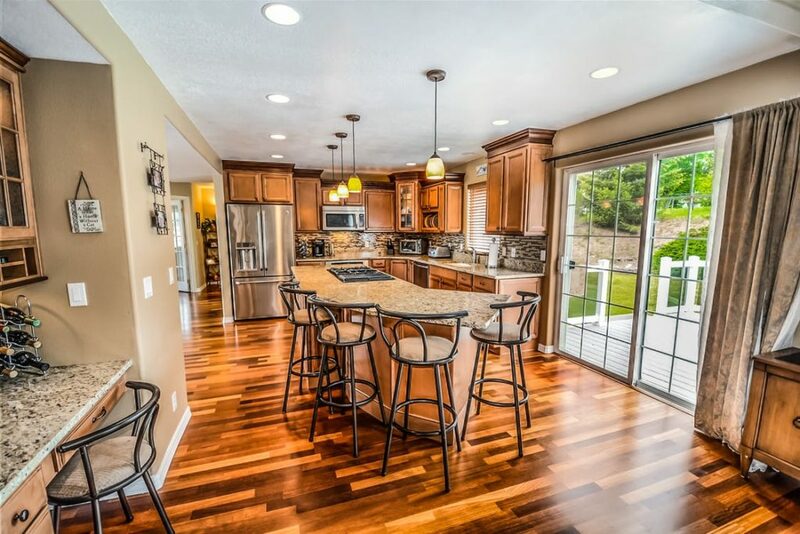 For example, in the kitchen, you should have overhead lighting on the countertops. This will make it easier to cook and to read cookbooks at the same time. In the bedroom, you should focus more on ambient lighting that creates a comfortable environment. If you are the type of person that reads in bed, then you should also have lamps located on either side of the bed. Dimmers are also a great thing to have as they allow you to change the intensity of the light according to your requirements. For example, you can dim the lights for movie night but increase light for studying. What size and colours to pick? There are very many different types of lamps out there. You should consider the overall design of the room when picking the colour and size of the lamp. For example, if you have low ceilings then you shouldn’t get a lamp or lamp shade that hangs low, or is very big as tall people will constantly be bumping their head against it. When deciding on the colour, you should consider the overall colour scheme in the room and try to make it match. Also, consider the style in the room, is it retro or modern? The lamp that you pick will look most effective if it matches the overall style of the room; otherwise, it may look out of place. Where to buy lamps and their fixtures? There are lots of places to buy lamps, fixtures, and lamp holders. Spares2You is a great place to buy everything that you need for installing lamps. Sometimes when you buy a lamp shade, it doesn’t come with the lamp holders or cables that you need. To avoid going home and finding out you don’t have all the parts you need, you should read the information on the box or consult with a store employee before making the purchase. If you are installing the lighting yourself, then make sure you consider all the safety precautions and don’t put yourself in harm. 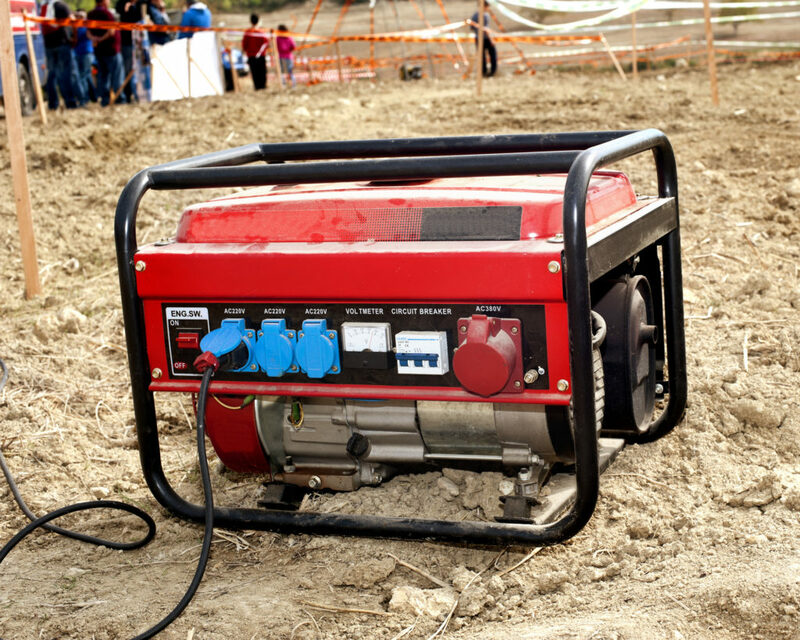 Electricity is dangerous and when in doubt you should consult a specialist. When picking the interior design features in the room consider the purpose of the light and the overall design of the room. This way you will surely pick lighting that is practical and compliments the overall design of the place. overall design of the room. This way you will surely pick lighting that is practical overall the room. Sometimes the hardest thing to do is to get your home to feel like it really is your own. This takes getting used to what you bought and accepting the thing that were built into the home. Lots of time this is difficult because there are things you just don’t like or are simply uncomfortable with. In that case, the only real option is to call in a professional and do some remodeling. 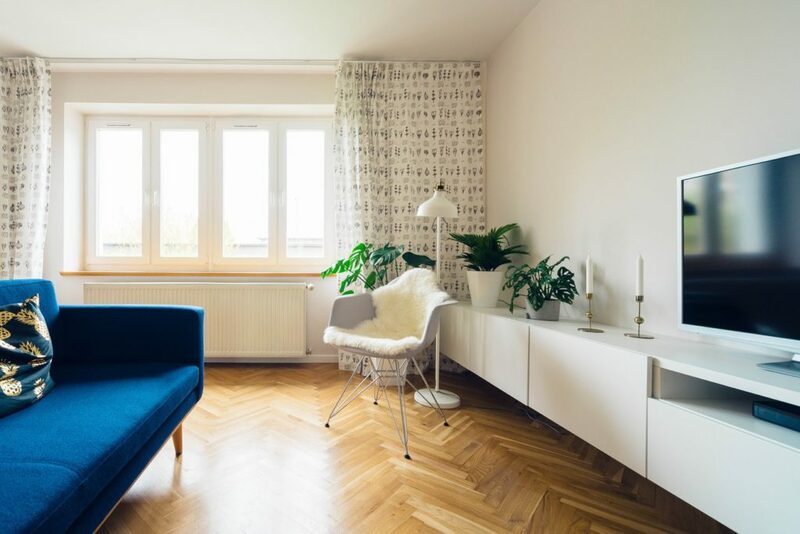 With this strategy you can make your home have the exact look and feel you like and you will truly begin to feel at home. Picking the color of your home gives you the chance to put your stamp on it. Choose to start with the exterior and pick a color you will be ecstatic to see when you come down the street. Many older homes have bland or dull colors while newer homes have a variety of browns, blues and even pastels. Pick from a palate you love and make a not so obvious choice. You may find something you never thought of and have your spirits lifted. Use a professional painter and call in a contractor to put in outdoor lighting that can enhance the color at night. A few sconces in the right places will work wonders. In the interior, you can make each room its own special place with paint and wall treatments. See which works best and do not be afraid to be bold. One room might be begging for wall paper while another might need a just off white paint to compliment the art work you have. Or, you might want a similar color scheme throughout the house. Remember here also to put in the right lighting fixtures. So call your contractor and have him place lighting where ti works best in the room. Older windows can do so much to darken a room. Older and smaller homes tend to have small windows limiting the amount of natural light and air flow into the room. Having the right windows makes everything better and brightens your mood. So bring in a contractor and go shopping at Community Builders Tulsa to take a look at which windows throughout the house need to be replaced for maximum effect. Also put some focus on upgrading window treatments. You can opt for full-height shutters so you have more control over the light and warmth that enters your home and additional privacy, or just change curtains and drapes. Either way, you will make a big difference. The kitchen is becoming the hangout place in most home but unfortunately many of them simply are not built for it. These means people are constantly running into each other there. Look at expanding the size and functions of your kitchen to make it the most comfortable. Knock down an unnecessary wall and put in an island to make it gorgeous and change cabinets and appliances to make it more functional. You can make major changes at various price points and it all starts with your desire. Dingy carpets can really dull down a living spaces. Today people love wood so put in a hardwood floor for a sleek and contemporary appearance. These days flooring has come way down in price and gone way up in options. Choose a light floor color to brighten a room or a darker color to make it look more elegant. Finally, place your things around the house. Adding personal items like pictures, pillows and rugs gives you a sense that your house is your home.